It’s April! After this past winter of consistently SNOWY weather we just can’t wait for consistently SUNNY weather! 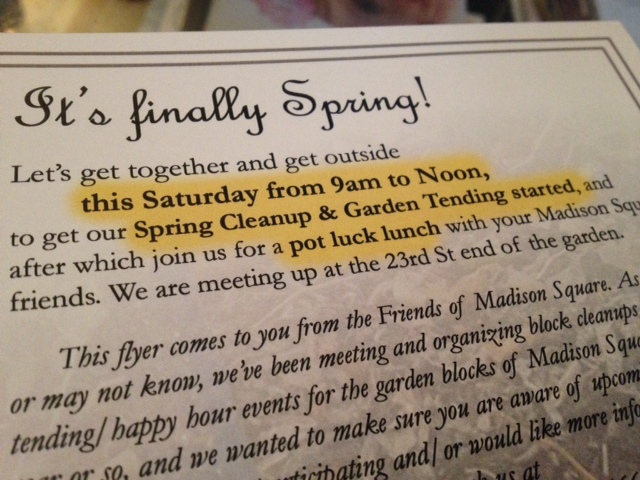 To start the outdoor season off right, Friends Of Madison Square is organizing the first 2014 garden/cleanup tomorrow & a dual block potluck afterwards. One goals of the group is to help maintain the historic fence surrounding the garden. If anyone knows a good welder in the Philadelphia area please drop us a line! 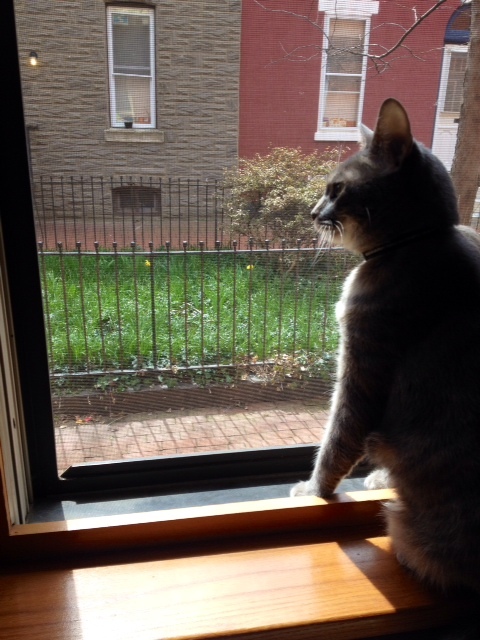 Maddy surveying her garden as per usual. Check out the two daffodils!